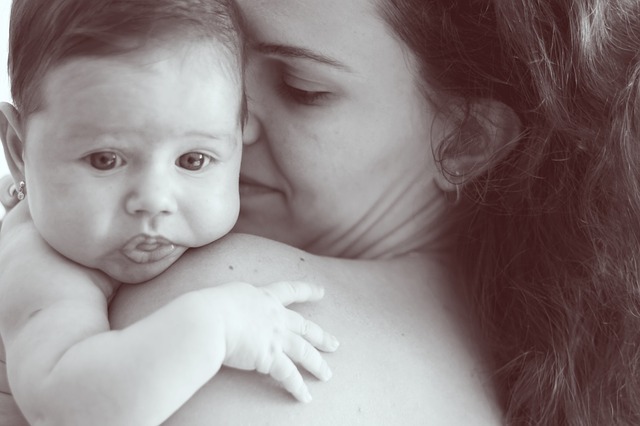 A recent study has shown that women who breastfeed have a lower risk of metabolic syndrome, including conditions such as high blood pressure, diabetes, and high cholesterol, but success depends on the duration of nursing. Life-long breastfeeding of 12 months or longer was associated with a lower risk of metabolic syndrome, as reported in Journal of Women’s Health, a peer-reviewed publication from Mary Ann Liebert, Inc., publishers. The article entitled “Association Between Duration of Breast Feeding and Metabolic Syndrome: The Korean National Health and Nutrition Examination Surveys” describes a study of more than 4,700 Korean women aged 19-50 years. In these women, the risk of developing metabolic syndrome or its component disorders was assessed based on life-long duration of breastfeeding, divided into four groups: < 5 months, 6-11 months, 12-23 months, or > 24 months. Coauthors Se Rin Choi, Yong Min Kim, Min Su Cho, So Hyun Kim, and Young Suk Shim, Hallym University, College of Medicine (Seoul, Korea), report the duration of breastfeeding found to be associated with decreased risk of individual components of metabolic syndrome, such as blood pressure, blood glucose, and cholesterol. Executive Director of the Virginia Commonwealth University Institute for Women’s Health, Richmond, VA, and President of the Academy of Women’s Health. Journal of Women’s Health, published monthly, is a core multidisciplinary journal dedicated to the diseases and conditions that hold greater risk for or are more prevalent among women, as well as diseases that present differently in women. Led by Editor-in-Chief Susan G. Kornstein, MD, Executive Director of the Virginia Commonwealth University Institute for Women’s Health, Richmond, VA, and President of the Academy of Women’s Health, the Journal covers the latest advances and clinical applications of new diagnostic procedures and therapeutic protocols for the prevention and management of women’s healthcare issues. Complete tables of content and a sample issue may be viewed on the Journal of Women’s Health website. Journal of Women’s Health is the official journal of the Academy of Women’s Health and the Society for Women’s Health Research. Academy of Women’s Health is an interdisciplinary, international association of physicians, nurses, and other health professionals who work across the broad field of women’s health, providing its members with up-to-date advances and options in clinical care that will enable the best outcomes for their women patients. The Academy’s focus includes the dissemination of translational research and evidence-based practices for disease prevention, diagnosis, and treatment of women across the lifespan. Journal of Women’s Health and the Academy of Women’s Health are co-presenters of Women’s Health 2017: The 25th Anniversary Congress which will take place April 28-30, 2017 in Washington, DC. This study is not true in my experience. I breast fed for 3 year, 1 1/2 years X 2 children. At age 58 I developed Diabetes, LADA, high cholesterol, and Graves Disease.